Why a former left-leaning ex-oil exec. wants you and all your friends to join the Republican party. As a long line queues up to get inside West High School on an early Friday evening, people shift their weight from one leg to the next. Rep. Chris Stewart, R-Utah, is back in the city and he's agreed to hold his first in-person town hall meeting of the year. Before the doors are opened, the snaking procession already is hundreds deep; but based on capacity estimates, everyone will get a spot in the school's 1,100-seat auditorium. Overwhelmingly, it's a left-leaning crowd, and buzzing attendees know what's in store. Dissatisfied constituents have the rare opportunity to voice their displeasure directly to their congressman. If not at the microphone, then by relentlessly booing Stewart's stances with which they disagree. So despite the wait and limited parking, folks here are in good spirits. The camaraderie is as clear as the artisan typeface on their poster board signs. This is the segment of Stewart's constituency—the minority districtwide—that wants to save Bears Ears National Monument, investigate President Donald Trump's connection to Moscow and expand health care coverage rather than cut it. Cheerful lines make for audiences that are both captive and receptive. Activists pounce on the opportunity to pitch their brand of resistance, passing out fliers, stickers and lawn placards. Working the crowd with the best of them is Gregg Schultz, founder of a super PAC called Primary/Out. A retired ExxonMobil executive attorney, Schultz' political affiliation is fluid. He was raised by conservative parents, voted for George W. Bush in 2000 and says his friends from law school considered him a hardline right-winger. For almost two decades, Schultz worked for a global oil giant notoriously known for a tanker spill off Alaska's Prince William Sound, one of the worst environmental disasters in American history. As his assets increased, he became more aware of economic inequity in the system, he says. In spite of his own interests, he began to favor policy that redistributed wealth from the rich to the poor and middle class. He also promotes a healthy environment. 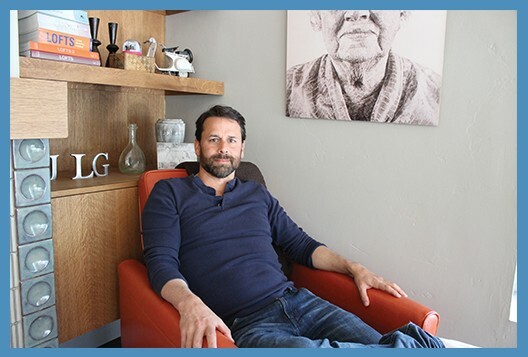 Finding success at a young age, he was able to retire early and moved to Salt Lake City where he lives with his husband in a kempt home. Schultz now dabbles in real estate, but spends an inordinate amount of time campaigning for his super PAC, which, he adds, "I don't want to do." Feeling compelled, Schultz attends events like the Stewart rally trying to convince Democrats and independents to switch over to the Republican Party. "It takes 60 seconds," he tells a group of 20-somethings, before moving on down the line, rattling through his talking points. On the surface, Schultz' message is simple: If you don't like your Congress member, vote him or her out. But when a congressional district skews so favorably for one party, how do members of the minority party exert power? "The answer is obvious," Schultz says. "It's to vote in the primary." In the state's congressional races, Schultz points out, the winners are picked in the primaries. Turning the tide in a pivotal primary race would pay off enormously, and there's little downside he can see. "You can literally stop them, and you haven't done anything to harm the Democratic challenger," he says. "If anything, you have helped [the challenger] immensely, because the majority of incumbents win their reelection. It's the No. 1 barrier to [the challenger] being elected is the fact that there's an incumbent." This so-called Primary/Out strategy is a practical solution to a frustrating problem, Schultz says. But some of his peers need prodding. In the Stewart rally line, three middle-aged women—lifelong Dems—nearly gag at the suggestion of joining the Republican ranks. Not a few minutes later, though, they admit that they kind of like the idea and see its merit. Others are less convinced. Jake Parkinson, the Salt Lake County Republican Party chair and former City Weekly contributor, says he politely accepted Schultz' handbill detailing his plan, but he doesn't agree one iota. A conservative Salt Lake City resident, Parkinson says later in an interview that the tactic defies the spirit of democratic elections by asking voters to back a candidate whose platform they oppose—one they oppose just slightly less than another stronger candidate. "I just disagree with that premise," he says. "I should vote for the candidate that fits my beliefs and will implement the closest vision to my principles in governing." Naturally, Republicans would be resistant to this Primary/Out movement, but plenty of Democrats consider it an affront to the party as well. Salt Lake County Democratic Chairman Q. Dang argues that Schultz' plan undermines the idea of parties altogether and minimizes the efforts done by Democrats. "Our party needs to stand on its own merits. We should promote ourselves as a party and not do something a little bit deceptive or roundabout. I'm completely opposed to that," he says, adding, "If you're a Democrat, be proud of it. It doesn't make sense to me, logically, as a Democrat." In addition, Dang worries a diminishing Democratic roll would complicate organizing endeavors. "When we're doing voter registration and our get-out-the-vote, if you're not registered as a Democrat, how will we know to contact you?" he asks. When Schultz made the rounds during a Trump tax protest march at the Salt Lake City and County Building, he was met with a couple who shared Dang's skepticism. The plan, they retorted, sounded sneaky and ineffective. (Schultz later confided that this couple was the least agreeable pair of progressives he'd run up against.) He doesn't spend a lot of energy trying to change intransigent minds—"Jill Stein-type," Schultz calls them—and quickly moves on. Schultz says the accusation that Primary/Out is deceptive is criticism he encounters regularly, but it's a misconception he hopes to correct. "We're not a stealth organization. I'm not trying to trick anyone. I'm trying to cooperate and find common ground with Republicans," he says. Oppose partisan and racial gerrymandering. Support a bipartisan investigation into Russian election-meddling. Acknowledge climate change is real. Combat any religious litmus test for immigration or citizenship. "I'm willing to add or subtract issues as long as they're consistent with our mission," he says. Schultz is in dialogue with potential GOP candidates, positive that viable challengers will emerge leading up to the 2018 election cycle. Chaffetz, the polarizing District 3 congressman, had become a perennial newsmaker. On Feb. 9, for example, he held his own town hall at a high school in Cottonwood Heights that quickly devolved into a cacophonic spectacle of groans and shouting, conspicuous enough that many national outlets made it their lead story the next day. District 3 resident Phil Cone, who ducked out of the Chaffetz event early in annoyance, said as he headed to the parking lot, that he intended to register as a Republican solely for the purpose of dethroning his congressman. This was weeks before Primary/Out's website went live. Schultz' party-swapping idea is not entirely original—he warmed to it at an Indivisible Utah meeting after the November election—but he seems to be the first in the state to have organized a political action committee around it. If Primary/Out could successfully oust Chaffetz, an incumbent congressman from a conservative district, it would demonstrate political clout that would set up the movement for 2020, Schultz' real target. By then, he reasons, he would have GOP candidates lined up and ready to take over the statehouse and the governor's mansion. While Chaffetz universally irritates those in liberal circles, he enjoys robust support from many of his constituents. Last election, he handily won the primary with more than 78 percent of the vote and then bested his Democratic opponent with 73 percent. A fresh slate of leaders would be able to push an agenda that included a new system for drawing district maps. This is one of Schultz' ultimate goals: To quash congressional gerrymandering, which is the art of creating political districts that benefit one party. He proposes using a computer system to delineate the districts, which would eliminate any human bias. Ideally, he says, the districts would be grouped into urban, suburban and rural categories. When Schultz is met with tepidity, he likes to ask his audience what they think of gerrymandering. "'Oh my God, it's the worst thing,'" he says they often respond. This tees him up for the logical next question: If not this, what is your plan to put an end to it? "Are we all going to stand around and whine and think that our state Legislature is going to say, 'They're really mad at us. They have no power, but they're really mad at us and we're going to finally give them what they want?' There's no chance that's going to happen," he says. "You have to exert muscle in order to do it." To Schultz, there was no better time and place to flex that political muscle than in the race against Chaffetz, a candidate considered vulnerable because of the awkward position he put himself in as head of the House Oversight Committee. Before the election, when the consensus prediction was that Hillary Clinton would win the bid for the White House, Chaffetz took every opportunity he could to declare that he would rigorously investigate her alleged misdeeds. But when Trump was victorious and reports trickled out that he and his team might be compromised by Russian President Vladimir Putin, Chaffetz' ambition had vanished. Then, on April 19—at the apotheosis of the anti-Chaffetz movement—the congressman surprised the political world by announcing via Facebook that he wanted to spend more time with his family and, therefore, would not seek reelection in 2018. "I'm tempted to channel Donald Trump and take all the credit myself," Schultz joked in an email that morning. But for Schultz, Chaffetz was a means rather than an end. 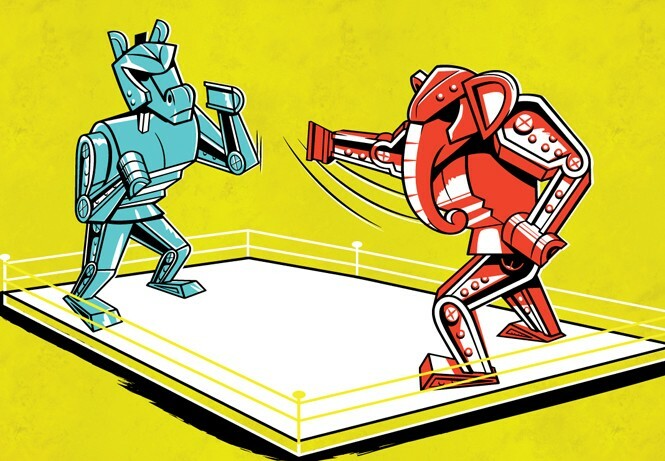 Without the congressman as a foil, his machination risked sputtering out before it was tested. After an hour or so, Schultz wrote again to explain that the Chaffetz news—including rumors that he might seek the governor's seat in 2020—didn't alter his strategy. "From my perspective, it gives me two extra years to mobilize against him, because the governor race is and has always been the lynchpin of my strategy," Schultz wrote. "Chaffetz is unfit for any office. We will continue to try to identify candidates to oust Stewart and Bishop, as well as Hatch. I am also looking carefully at 2-3 state races." If the goal is to stop gerrymandering, some have argued, there are better ways of achieving it. 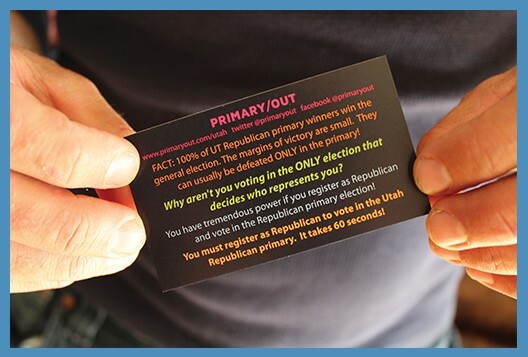 Around 2011, before he became county party chair, Dang was part of a group called Represent Me Utah. Lawmakers that year, tasked with re-mapping the district, toured the state and asked voters to submit plausible and state district boundaries. "A bunch of us drew maps," Dang recalls. But that revealed itself to be an insincere gesture, when instead, he claims, "They called a special session and they disregarded all of them." Dang accuses legislators of drafting their own maps behind closed doors and then picking them over any of the submitted documents. The process presents an inherent conflict of interest, he says, when legislators draw districts around their preferred voters. "Incumbents, in essence, get to protect their own seats," he asserts. A fairer system, Dang says, would be to turn over the responsibility of drawing district lines to an independent redistricting commission. This body would establish agreed-upon criteria, and develop models based off computations of a simple software program. This type of system "doesn't take into consideration partisanship. It doesn't take into consideration where someone lives," he says. "It's math." If the math and the commission guidelines still couldn't save Democratic strongholds, so be it, but at least the voters could rest assured that the process wasn't an act of political self-preservation. As it is now, some residents are left to wonder why they're in a different district than their neighbors. "You can stand in a certain point in Salt Lake City and look out and see three different congressional districts," Dang says. That spot in the county where three districts meet is found at the foot of the Wasatch Mountains on the southern end of Parley's Canyon. It doesn't appear to be in a neighborhood, or on a street at all. But while the city isn't sliced like a perfectly cut pie, as Dang implies, he's not far off. Take, for example, the drive from Olympus High School just off 3900 South to the Salt Lake County Country Club north of 2700 South. The 4-mile jaunt might take you 10 minutes if you hit all the lights. Still, your journey will start in District 3, a congressional boundary that stretches all the way down to the state's Four Corners area. Headed north, you will immediately pass into District 4, the state's smallest, area-wise. It comprises many towns on the west end of Utah Lake and continues up through a center segment of the Salt Lake Valley. On the southern end, District 4 encompasses Nephi, Mt. Pleasant and Levan. Before you park, you've already entered into District 2, the state's largest, which engulfs most of Salt Lake City, but also includes St. George, Panguitch, Manti and Beaver. District 1 is the only congressional seat that doesn't cut into Salt Lake County, but it does swallow up Park City, another liberal-leaning town. The majority in Salt Lake City are represented by one congressman—except those living on the southern end. Districting slices West Valley City in half (Districts 2 and 4), as well. Conservative Provo, worth noting, is the largest city in the state that appears to be represented by one congressperson, Chaffetz in District 3. All four Utah representatives are Republican, further evidence of gerrymandering, Dang argues. "It doesn't pass the smell test," he says. During the last presidential election, Republican candidate Trump won less than 50 percent of the vote in Utah. Democratic candidate Hillary Clinton won more than 25 percent. By implication, at least a quarter of the state's population favored a Democratic candidate. "And yet, we have no representation," Dang says of his Democratic party. "You would think that out of four, we would get a quarter. But because of the way the maps were drawn, we got none of it." As one might expect, the state's Republican lawmakers don't see gerrymandering as the problem it's portrayed to be. If you ever find yourself in an argument on social media with a state senator about gerrymandering, you're probably sparring with the outspoken Republican Todd Weiler. About three months after the districts were drawn, Weiler joined the Legislature. So even though he wasn't a part of the body responsible for the state maps, he agrees with the layout and has come to defend it against what he considers a hypocritical position. "What I hear 99 percent of the time—they don't realize they're saying it—but what they're saying is, 'I want gerrymandering. I just want it gerrymandered so my flavor of candidate will win,'" he says. In his assessment, enclosing Salt Lake City and Park City in one small district would amount to gerrymandering. It would also stray from an attempt to force the delegation to focus on rural and urban issues by drawing up districts that combine rural and urban areas. "There's a thousand different ways to slice Utah into four congressional districts," Weiler says. "But what I hear the most is people saying, 'But you could have sliced it in a way where a Democrat would be guaranteed to win.' Had they done that, it would have been—by definition—gerrymandering. It would have just been gerrymandering for the Democrats." Asked about accusations that Salt Lake County was strategically fractured, Weiler notes that there are too many residents in the county to lump it into a single district anyway. That would create one district with way more people than the other three. And to hack out the conservative areas, he reiterates, would still be gerrymandering. Even if Salt Lake County were one district, he adds, it would be a swing district and the state could still end up with four Republican congressional representatives, depending on the candidates. Parkinson, the GOP county chair whose job it is to bolster the party, paints a portrait of the county that liberals would find direr than Weiler's. "[Gov. Gary] Herbert won Salt Lake County. It's not a liberal place. Mike Lee destroyed in Salt Lake County," he says. "I believe conservative principles better represent the voter base here. Any way you break that up, you're still going to end up with conservative voters prevailing, but I deeply respect those who feel like their voice isn't heard." As the districts are currently constructed, Weiler argues the 4th, in its brief history, has been in play for both parties. "The argument that only a Republican can win these districts was disproven the very first year these districts were drawn," he says. "Jim Matheson won one of them in 2012." Matheson, a District 2 incumbent, successfully ran for Congress in District 4, the year after it was created. But it's been in Republican control ever since 2014 with Mia Love beating out Doug Owens two elections in a row, the last of which was a double-digit point victory. Like Schultz, Weiler ascribes a candidate's success, often, to their incumbency. 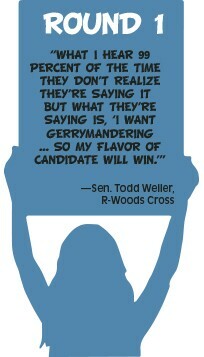 Rep. Dan McCay, R-Riverton, echoes Weiler's thoughts on gerrymandering. But he also suggests that one reason it might have become a resurging fight is because constituents across this county, on both sides of the aisle, feel disenfranchised by their congressional officials. "There is an undercurrent of people who wonder if Congress is actually representing them anymore," he says. "That is a nonpartisan issue that has everyone kind of scratching their head and trying to understand. It's hard to feel a connection when what gets proposed in D.C. doesn't benefit the people in the states they're elected to represent." Neither McCay nor Weiler supports the idea of an independent redistricting panel, based on the assumption that there's no way to remove it from political persuasion. "Who in the hell is interested enough in politics but has no opinions and no preference on who wins?" Weiler says. "I have yet to meet that person. It's a fantasy." 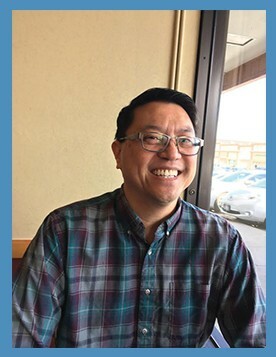 He argues that if voters disagree with the Legislature as it draws district maps, they can at least try to vote their legislator out of office. "How do you vote out an independent commission? They're accountable to no one." Channeling former Democratic President Barack Obama, Weiler says elections have consequences, and one is that the Legislature elected to represent voters on the Hill will have a chance to draw up the districts after the next census in 2020. The reality, he says, is that accusations against gerrymandering are about as old as the county itself, and save for a few challenges in court, voters expect lawmakers to draw those lines. In other words, it's extremely unlikely that he and his Republican colleagues will willingly hand over that responsibility to an unelected board. There is another route, though. Dang is under no illusion that the Legislature will surrender its redistricting powers to a nonpartisan commission. He's seen what happens when lawmakers try. Last session, Rep. Rebecca Chavez-Houck, D-Salt Lake City, sponsored House Bill 411, which would have established an advisory redistricting committee, but the legislation was dead on arrival and never got a committee vote. So the only other option is to establish a redistricting committee through a ballot initiative. At the moment, the Utah Redistricting Coalition is amassing a small army of volunteers who will help gather the required signatures to put the question on the ballot in 2018. It is aiming for 150,000 signatures—no small feat. To put that number into perspective, if 3,000 people who attended a recent Bernie Sanders rally all signed their names, the coalition would be 2 percent of the way there. The coalition has to get 10 percent of the number of last election's voters in 26 of Utah's 29 Senate districts. Despite the laborious task, Dang, a member of the coalition, is confident it will prevail. "If I get 1,500 [volunteers], I only need each person to gather 100 signatures. That's it. It's doable," he says. "If I only have 150 volunteers, they all have to gather 1,000. Over the course of a year, one volunteer can easily get 1,000 signatures." But while he considers the group's signature phase to be attainable, he is also watching the next election creep near. "The census is done in 2020, the maps are going to be drawn in 2021. If we don't do it right now, it's going to be another 10 years," he says.